A couple of weeks ago, Electronic Beats was in Munich to host a clubnight with with Perel, Red Axes and Sedef Adasi at Munich’s premiere club, Blitz. 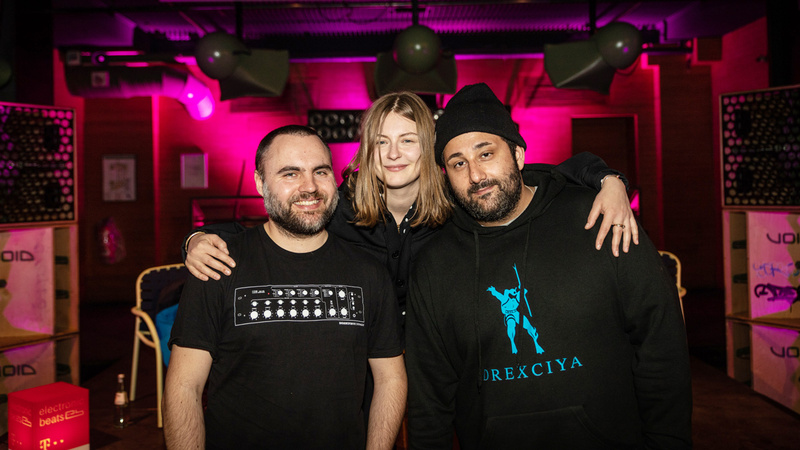 But before we got down to business on the dancefloor, we hosted a roundtable discussion at the club with Blitz co-owner, David Muallem, the sound designer for the club’s insane rig, Laurin Schafhausen, and Perel herself. The recording of that wide-ranging discussion is now available to listen back via our regular German-language podcast. Join TEB Podcast Host Jakob Thoene as we discuss the shifting role of clubs, their sound and the radical changes in club culture in the era of social media. This podcast is also available on Soundcloud, Spotify and Apple Music.